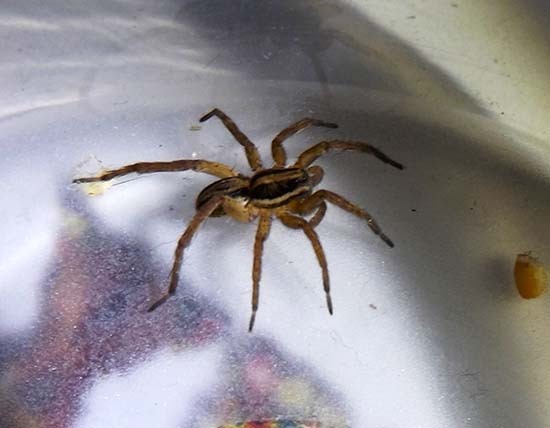 This Wolf Spider made its way into the apartment one night moving along at about 1.5m high on the curtains and made furious jumps from fold to fold before it was caught, photographed and removed. This was October at Bateau Bay. It seemed very excited and it was a relief to move it outside again. Probably Venatrix speciosa although there are a couple of other Venatrix species it could be. The specimen below was identified by me as V. furcillata but is the same species as the one above I think. The images are ten months apart with the lower being taken in January at the same apartment. 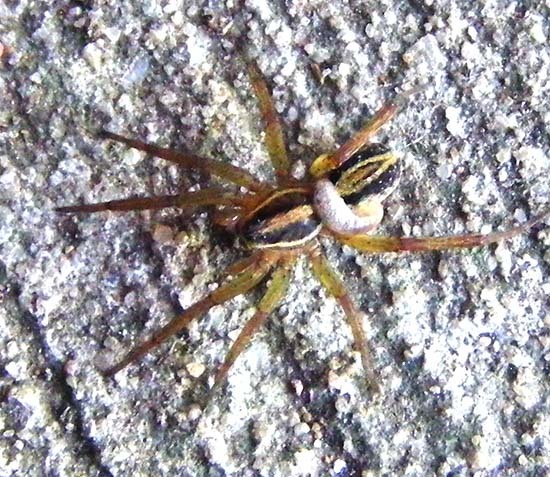 The grub appears to be a parasite eating the spider.